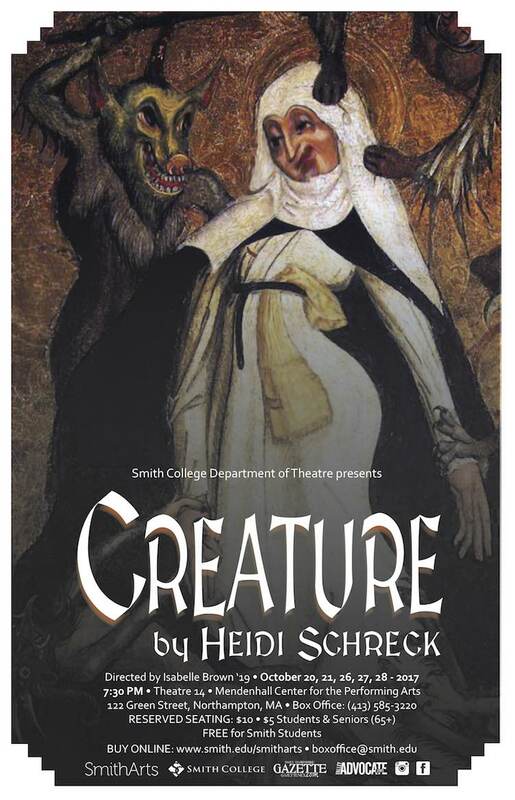 Creature performs at Smith College for three more shows this weekend. It's an intriguing story about a woman who wanted to become a saint in 1401. She also happens to be a real historical figure, and the author of the first autobiography. Don't forget to send me YOUR event if you don't see it here: all listings are by submission. Just click the button below to fill out the submission form. Chicago's comedy scene received some much-needed scrutiny when the Tribunepublished an article admonishing the iO Theater's initial response to sexual harassment claims. The issues came to light on social media, when several improvisers shared their experiences about aggressive scene partners and inappropriate advances from instructors. News sites picked up the story from there, and many women spoke publically about their experiences. 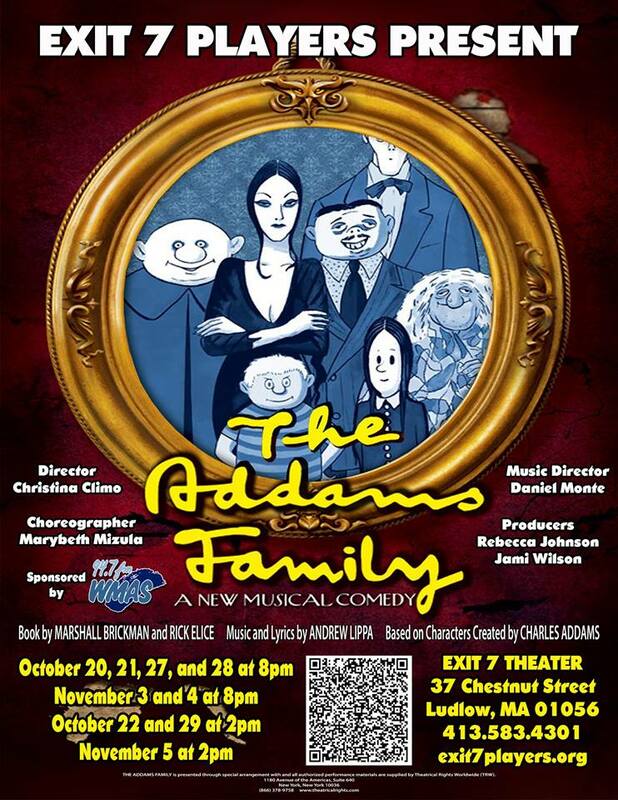 Nov. 1, 3, 4, 9, 10, 11 at 7:30 p.m., Nov. 11 at 2 p.m.
School matinee Nov. 8 at 10 a.m. The authentic and diverse experiences of homeless youth come alive on our stage through the characters in Elizabeth Swados' Runaways, running Nov. 1-11 at UMass Theater. The authentic and diverse experiences of homeless youth come alive on our stage through the characters in Elizabeth Swados' Runaways, running Nov. 1-11 at UMass Theater. Shaping these stories into theater that is truthful and sensitive to the issue of youth homelessness, which is central to Runaways, is guest director Lou Moreno. He brings to bear his professional credentials as a director and as artistic director of New York City's INTAR Theatre, as well as his experience working with homeless LGBTQ youth. He's motivated by a desire to portray these tossed away youths as real people who often fade into the background of our everyday lives. Interviews with homeless youth in New York City formed the basis of Swados's musical, which premiered on Broadway in 1978 featuring some of those very same homeless youth. And as our artists tackled the play in 2017 at UMass, they quickly found that the stories are compelling and relevant in our time and place. The diverse cast, which includes community members as well as actors-in-training at UMass Theater, has come together as an ensemble to bring truth to characters who are by turns energetic, angry, joyful, and wounded as they tell of their experiences in a society that stereotypes, disrespects, or dismisses them. What happens to them, they want you to realize, happens not only in big cities but in smaller towns and even on this campus. This hilarious and joyful musical, based on the hit Whoopi Goldberg film with book by Emmy and Golden Globe Award winning duo Cheri and Bill Steinkellner, follows Deloris Van Cartier, a wannabe diva whose life takes a surprising turn when she witnesses a crime and the cops hide her in the last place anyone would think to look - a convent! Under the suspicious watch of Mother Superior, Deloris helps her fellow sisters find their voices as she unexpectedly rediscovers her own. This sparkling musical comedy was nominated for five Tony Awards, including Best Musical, and features original music by Tony Award and 8-time Oscar Award winner Alan Menken, with lyrics by Broadway’s Glen Slater. The New York Post called Sister Act “ridiculously fun,” and audiences around the world have jumped to their feet in total agreement. Don’t miss the heavenly musical comedy of the season SISTER ACT THE MUSICAL. 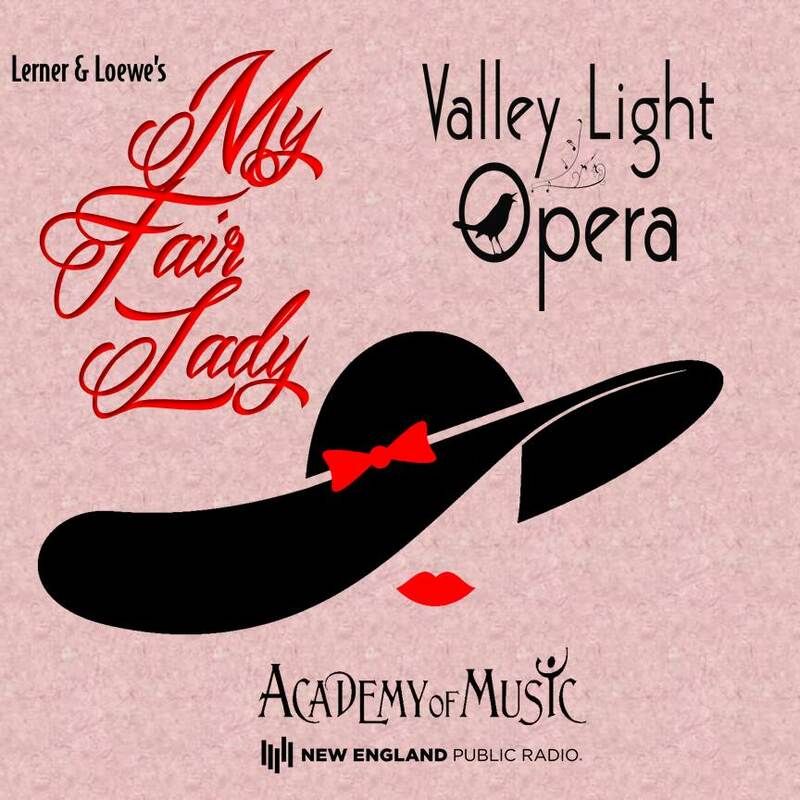 In a brand-new, glittering and richly imagined production, Valley Light Opera brings Lerner & Loewe’s classic musical My Fair Lady to the Academy of Music in Northampton November 3rd, 4th, 10th and 11th at 7:30 and November 5th and 12th at 2:00PM. Nearly everyone knows the story – based on Shaw’s Pygmalion – of Eliza Doolittle, the Cockney flower girl transformed into a grand lady by the eccentric Professor Henry Higgins. But the VLO gives this old favorite a new dimension, continuing its tradition of looking deeply into the hearts of its characters and bringing them vibrantly to life as complex and fascinating human beings. Presented by Arrangement with Tams-Witmark. 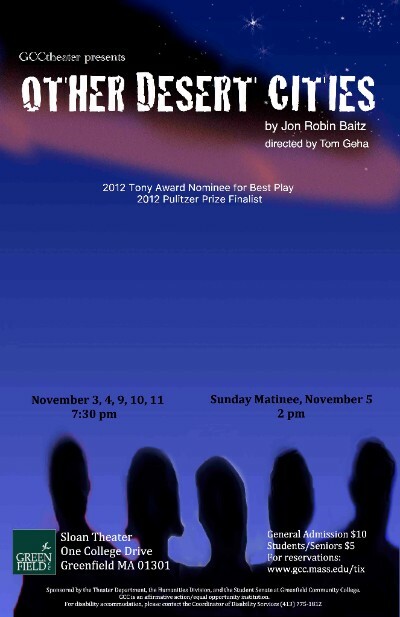 This riveting and humorous play was nominated for a 2012 Tony Award for Best Play and was a finalist for the 2012 Pulitzer Prize. In this searing comedy-drama, young writer Brooke Wyeth returns home to Palm Springs to celebrate Christmas with her famous and politically-connected parents, brother and aunt. When she announces her plans to publish a tell-it-all memoir of crucial events in the family’s past, she brings to light old wounds, family secrets, scandal, and intrigue. 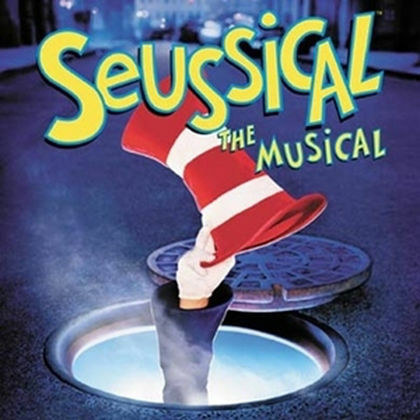 Join Horton, the Cat in the Hat, the Whos and other beloved Dr. Seuss characters as St. Michael's Players presents Seussical the Musical! 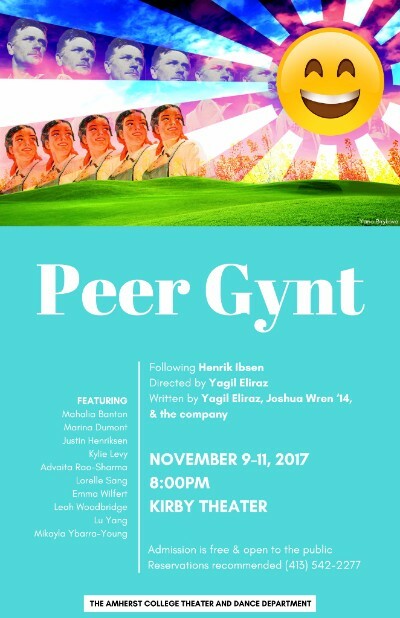 The Theater and Dance Department is proud to present a contemporary adaptation of Peer Gynt, an early play of the renowned Norwegian playwright, Henrik Ibsen. Directed by Assistant Professor Yagil Eliraz, written by Yagil Eliraz, Joshua Wren '14 and the company. This play is a phantasmagorical journey that spans over the lifetime of Peer, a young, dreamy and ambitious man who sets out on a quest to find his true self. From the mountains of Norway to the desert of Egypt, from encountering trolls, to riding a moose, to sailing across the ocean, the audience accompanies Peer in his adventurous journey. Peer wants to fulfill himself, find his self and define who he really is while remaining loyal only to his desires and goals. Peer is the personification of our age—one in which individualism often comes at the expense of solidarity, camaraderie and social consciousness. By joining his journey around the world, we ask ourselves, What is the cost of the obsessive search after our true Self? Tickets are free and open to the public. 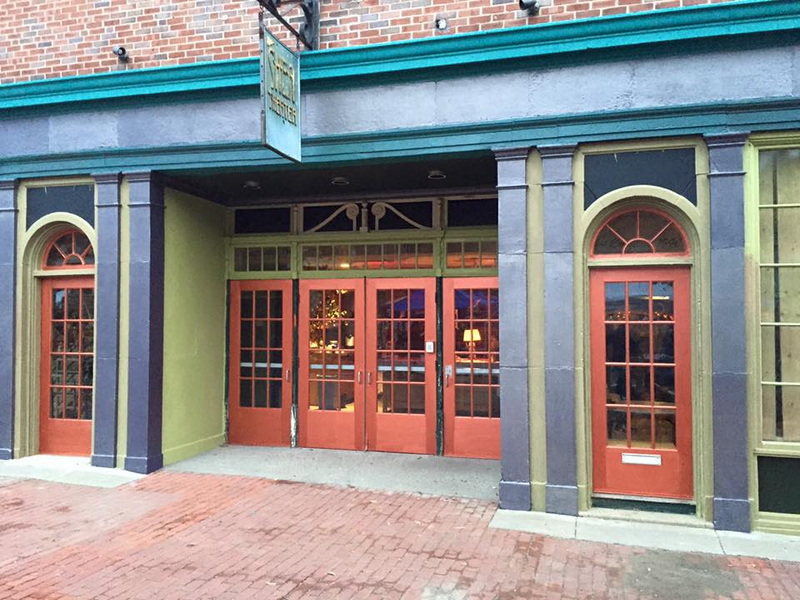 Reservations recommended (413) 542-2277. Do you love fairytales? Do you enjoy being in the woods? If yes, then UMass MFA Dramaturgy graduate student Claudia Nolan’s thesis Play in the Woods is the perfect fit for you! 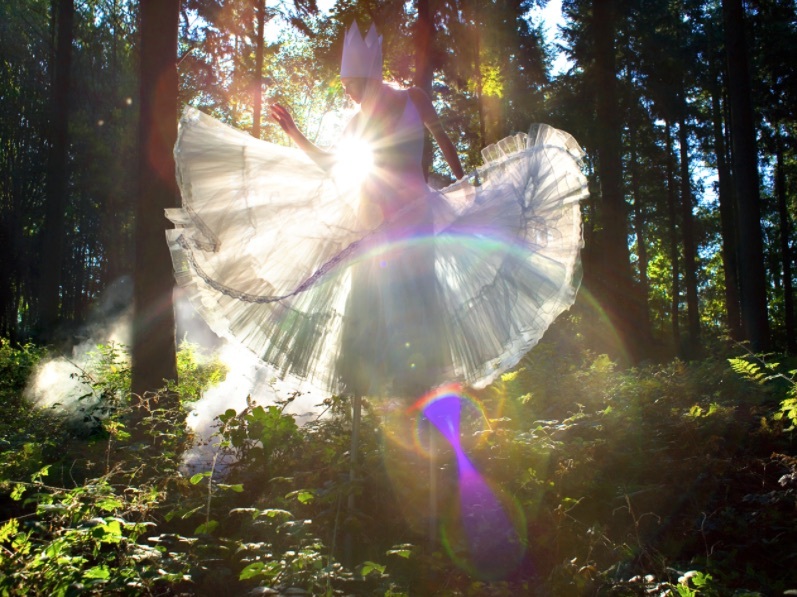 She is looking for people of all backgrounds to create short pieces—monologues, dances, songs, etc.—about the role that fairytales play in their lives. No performance experience is necessary. Over the next few months, Claudia will work with you individually to create your piece. The performance will take place on May 5, 2018 in the Amethyst Brook conservation area in Amherst, MA. If you are interested in learning more, please contact Claudia at clnolan@umass.edu by Friday, October 27. An informal first meeting with all participants will be scheduled within the next few weeks. Hallie Flanagan Studio Theatre, Mendenhall Center, Smith College. Eggtooth Productions is presenting a holiday variety show at the Shea Theatre in Turners Falls, MA upon the theme of COMMUNION. noun 1. the sharing or exchanging of intimate thoughts and feelings, especially when the exchange is on a mental or spiritual level. Would you like to submit a 10 minute offering that could be a part of our show? We provide the venue, the promotion, the tech, and any support (within reason) you might need to perform your piece. It could be theater, music, dance, circus arts, poetry, really anything that lasts under ten minutes and can be experienced upon a stage. Be creative! Proposals due by November 15, 2017. When venues for their Full Disclosure and Double Take Fringe Festivals disappeared or became too expensive at the same time the artists they love working with multiplied and expanded, the folks at Eggtooth Productions had an idea. What if they did the same thing as their festivals but tucked all the acts into one evening? The response was terrific and so the New Vaudeville Holiday Spectacular was born.